A Liberal's Libretto: We stand. Yesterday and today are extremely important days in the movement for Marriage Equality and for Civil Rights in our country. 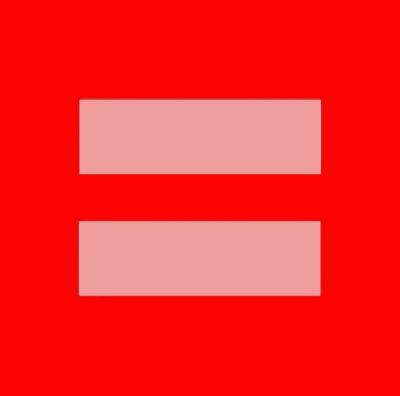 As my better half discussed on her blog yesterday, we are "Praying that all are heard, seen and respected as equals, marriage is for all, and equality is ruled as the truth of our land." Many opponents to Marriage Equality state that marriage should only be between one man and one woman. When pressed as to *why* they feel that way or *what* the foundation for their argument is, the majority will say either "Because marriage is a sacred institution" or "Because the bible clearly states that marriage is between a man and a woman." If you are going to bring me your "marriage is between one man and one woman" argument and prop up that argument with the pillars of religion (that marriage is "sacred" and "biblical") then, you need to take that argument to your church. Not to the courthouse. Go to your preacher, priest, minister or whoever the authority is in your chosen religion and tell them, "I believe that Marriage is between one man and one woman based on what the Bible says. So, I advocate that our church not marry those individuals." Taking the religious foundation of your argument to the courthouse in order to DEFINE marriage as being between one man/one woman, thus trying to force your religious beliefs - through legislation - to become the law of the land is simply not ok. And, quite frankly, I believe that to be unconstitutional. b. a similar social institution involving partners of the same gender: gay marriage. 3. the legal or religious ceremony that formalizes the decision of two people to live as a married couple, including the accompanying social festivities: to officiate at a marriage. Now, I can already hear the resounding chorus swell of "we were founded as 'one nation, under God'". Listen folks, no one is trying to take God out of our country. No one is trying to take the Christ out of Christmas and, no one is trying to co-opt Easter. It is key to understand, however, that we were founded without a national religion. Freedom of Religion also means freedom FROM religion. In other words, it seems by most accounts that the Founding Fathers said, "We believe in God and believe that our nation stands under God - but, if you don't believe that, that is your right and we are not going to force you to believe what we do." In that vane, if you believe that marriage should only be between one man and one woman because the Bible tells you so, that is your right. Just as it is my right to believe that God gave us reason - and, my God-given reason tells me that the law of our land should not discriminate based on a "sacred" or "biblical" argument. My God-given reason tells me that if two men or two women love each other and want to bond their lives together in marriage, they should have the legal right to do so.